Take dal into a bowl, add water and wash well. Add water to the washed dal and soak it overnight. Wash the ash gourd, cut and take the required amount. Using a knife or any slicer cut the gourd into long pieces. Cut the ash gourd along with the peel. Fix a dough kneading blade to the food processor bowl. Add the ash gourd pieces into the food processor bowl and run the processor on low speed till the gourd pieces are crushed slightly. Traditionally the ash gourd pieces are crushed using a mortar and pestle. Take a muslin cloth and add the crushed ash gourd pieces into it. Bring the edges of the cloth together and form a bundle and observe water dripping from the bundle. Invert a slotted plate into a wider plate. Place the bundle on the inverted slotted plate and flatten it with fingers. Place a heavy object like stone or water jug on the bundle to drain the water from the ash gourd pieces. Leave this bundle under heavy weight overnight. So soak the dal and prepare the bundle with ash gourd pieces in the evening and keep them overnight. Next day morning when the dal is soaked well drain all the water. Add fresh water to the dal to remove the husk. Rub the dal between fingers and observe husk getting separated from the dal. Swirl fingers inside the water and above the dal to collect husk. As husk is lighter than the dal it will settle above the dal in the bowl. When we swirl fingers inside water the lighter husk floats and gets collected in our palm. Remove this husk from the dal. Like this repeat and remove husk of the dal as much as possible. Rub the dal in water and swirl fingers in water to collect the husk. After removing most of the husk there will be some more husk left in the dal bowl. To remove this, drain the water in the dal bowl to another bowl by shaking the bowl. While shaking the bowl the husk comes out easily along with the water. Holding the bowl with left hand, shake it while draining the water. Place your right palm near the draining point to collect the husk. Repeat this process and remove as much husk as you can. When husk is removed dal would be ready to grind. Remove the heavy stone kept on the bundle of ash gourd pieces. Observe that all water is drained through the slotted plate into the wider plate. Collect this water into a bowl as we will be using this water to grind the dal. Open the bundle and observe that the ash gourd pieces are dry—take them into a bowl and keep it aside. Here I have used a mixer grinder to grind the dal; however a wet grinder works fine. Add some soaked dal to a mixie jar and add sufficient salt and some ash gourd water and grind to a smooth paste. While adding water take care not to add much—we need a thick batter to prepare vadiyalu. Take this batter into a bowl. To the mixie jar add green chilies, turmeric powder, sufficient salt and remaining dal and grind. Then add asafoetida and some ash gourd water (if required) and grind to a smooth batter. Mix this batter with the batter prepared earlier. Now beat the batter with fingers to make it light and fluffy. To test the lightness of the batter drop a small portion of the batter into a bowl of water. If the batter floats then the batter is light whereas if the batter sinks then the batter is still heavy—in such cases beat for some more time till batter is light and fluffy. 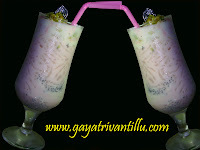 When the batter is light and fluffy add the ash gourd pieces to the batter and mix well. Now the batter is ready for making vadiyalu. Spread a plastic sheet in sun to make vadiyalu. Drop a small portion of the batter on the plastic sheet and if required flatten it with fingers. At one inch gaps drop some batter and make vadiyalu till all batter is used up. Dry these vadiyalu in hot sun till they get separated from the plastic sheet. During summer season, by evening they get separated from the plastic sheet. Evening remove from plastic sheet and observe that these vadiyalu are still raw from inside. Arrange these vadiyalu in a plate in inverted position as shown in the movie clip. Next day dry in sun till fully dried. Like this daily dry in sun till they become crisp---when a vadiyam is pressed with fingers it should break easily. Once these vadiyalu are crisply dried store them in an air tight container. Whenever required take few vadiyalu and fry them and use. Spread a paper napkin in a plate. After frying the vadiyalu place them on the paper napkin to soak excess oil. Heat a pan and add oil (Around 1/4Cup) to it. When oil is hot lower the heat and drop few vadiyalu. Fry the vadiyalu stirring on low heat till they turn golden in color. Then take them with a slotted spoon and place them on paper napkin which will soak excess oil. A fried vadiyam when crushed between fingers should easily break. Add ghee to hot plain rice and serve these vadiyalu and enjoy the taste. They also taste better when served with curd rice. Use as much ash gourd as required for the dal taken. Here I wanted to show how to de husk the black gram before using. Another reason to use husked black gram is the ground dal has more sticky property compare to the stickiness of the batter prepared with de husked dal. For convenience one may use de husked black gram to prepare these vadiyalu. Using a wet grinder we get better results than using a mixer grinder. Beating the batter makes the batter light and fluffy. 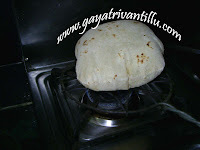 If more water is added while grinding the batter vadiyalu would not hold the shape and spread on the plastic sheet. So it is very important to grind the batter using less amount of water. Using less amount of water while grinding, makes the batter heavy. So beat the batter with wet fingers to make it light and fluffy without adding anymore water. While drying the vadiyalu see that they are fully dried, otherwise they will get fungus when stored. Once these vadiyalu are crisply dried store them in an air tight container. Whenever required take few vadiyalu and fry them and use. 17 Recipes you may also like to watch.